Diving for a good cause. The latest member of the Patravi ScubaTec dive family offers the performance attributes of a professional dive watch and supports a good cause at the same time; in this case, the black manta ray. 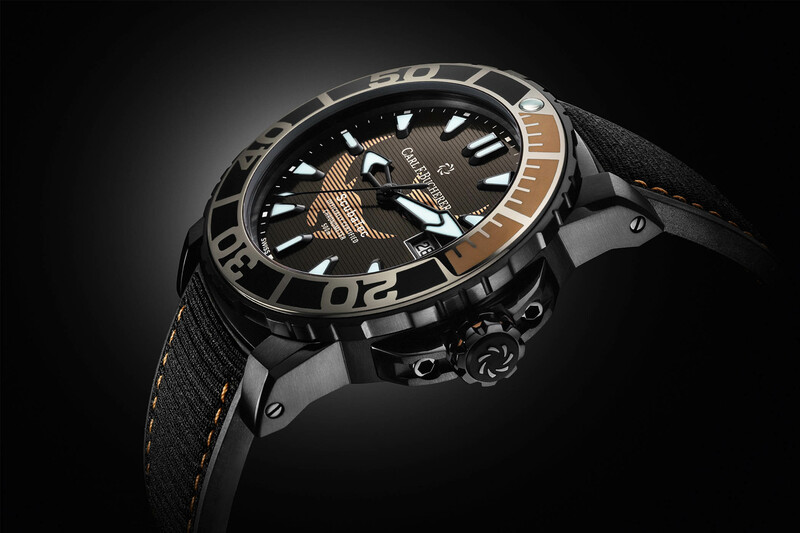 Using the same 44.6mm case and COSC-certified automatic movement as the 2017 Patravi ScubaTec Manta Trust watch, the 2019 model comes with a black DLC-coated titanium case and a black and bronze colour scheme across the bezel, dial, and strap. Corporate social responsibility (CSR) is becoming almost as important these days as a company’s products and latching onto a good cause – be it environmental sustainability, philanthropy or ethical business practices – is gaining traction among watch brands. 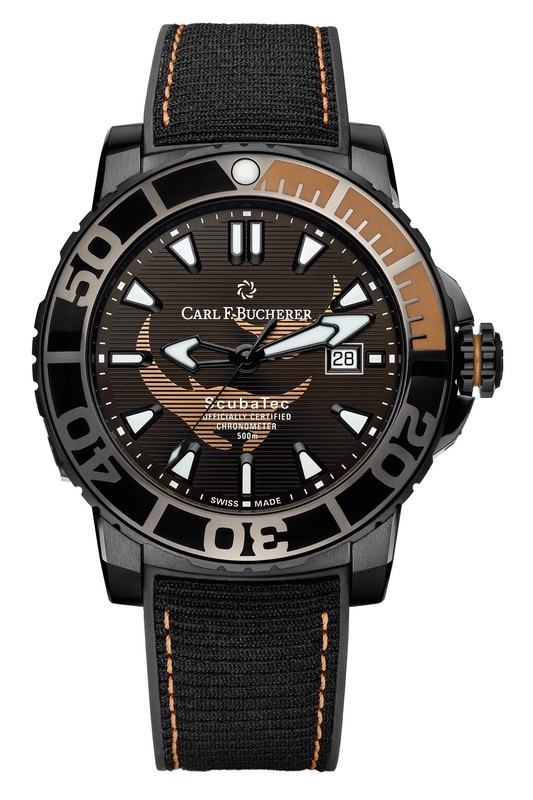 In the case of Carl F. Bucherer, the black manta ray (or rather, the UK-based Manta Trust Charity) will be the beneficiary of part of the proceeds generated by the sale of the Patravi ScubaTec Black Manta Special Edition. Specifically, the charity will be channelling some of the funds to a research project studying movement patterns and behaviour of manta rays in the Yucatan Peninsula of Mexico. Two years ago the first Patravi ScubaTec Manta Trust was launched in a black/grey version with a couple of manta rays gliding across the dial and engraved on the caseback. 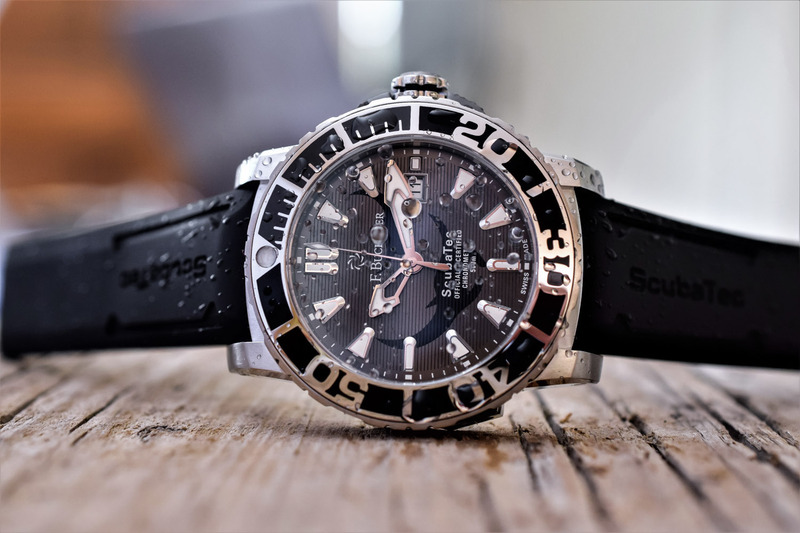 But don’t be misled into thinking that this was just a ‘feel good’ watch to appease the environmental conscience of desk divers; the ScubaTec Manta Trust was and is a professional tool watch equipped with a helium release valve and diving capacity of 500m. 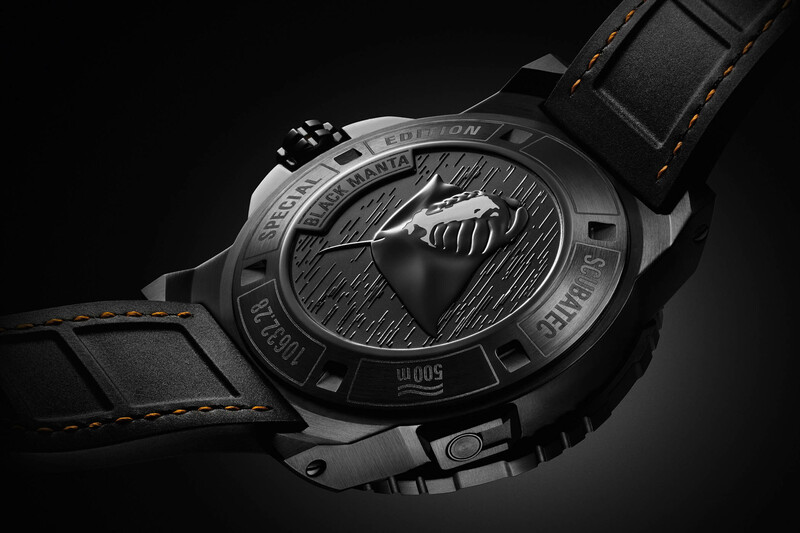 The 44.6mm case of the 2019 Patravi ScubaTec Black Manta is made from ultra-light black DLC-coated titanium – a novelty for CFB. The colour scheme of the watch matches the cool technical nature of the black DLC-coated titanium with touches of bronze to evoke diving tools of yesteryear. 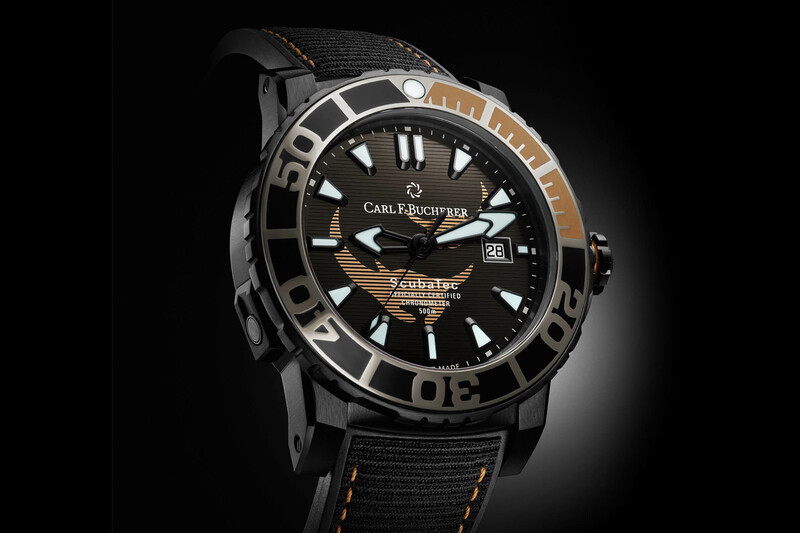 The solid unidirectional rotating bezel is made from titanium and ceramic and echoes the bronze/black colour scheme of the watch with a bronze-coloured area to indicate the all-important 15-minute countdown function for divers. 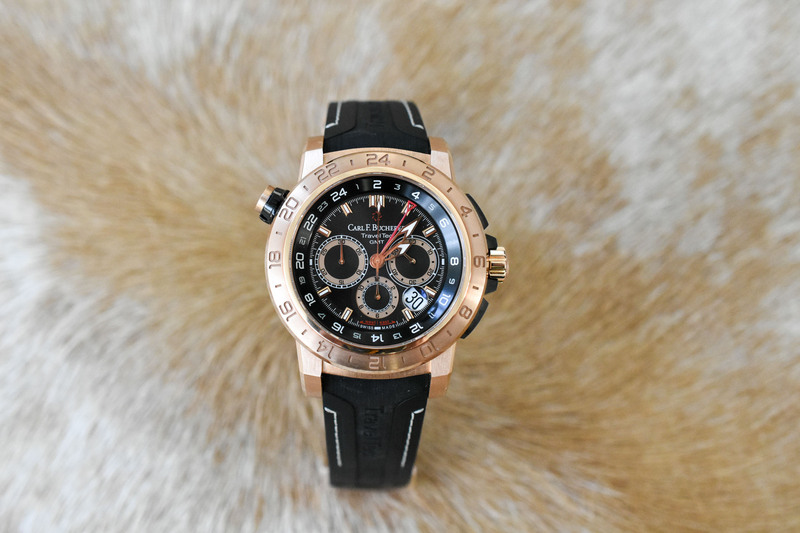 The deep notches on the bezel are intended to assist divers set the time wearing gloves. A helium valve at 8 o’clock and the screwed-down crown and caseback assert the watch’s primary vocation. The applied indices and the tips of the hands are treated with Super-LumiNova and emit a blue glow in the dark. 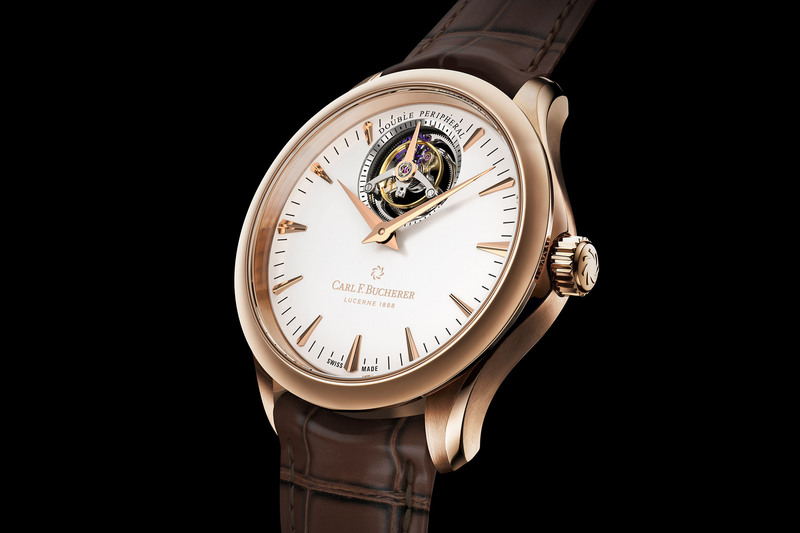 A series of horizontal grooves traverse the black dial and in the centre are the silhouettes of two manta rays painted in a bronze colour. Prepared to perform under the waves and offer precision on land, the watch features a date window at 3 o’clock and boasts a COSC-certified movement. Beneath the screw-down caseback engraved with a black manta ray, is the automatic CFB 1950.1 calibre based on a Swiss ETA 2824-2 – 4Hz frequency, automatic winding, 38h power reserve, 25 jewels – with COSC- chronometer certification. In keeping with the conservation theme, the watch comes with a black textile strap composed mostly from recycled PET bottles with bronze stitching and a folding clasp in DLC-coated titanium. 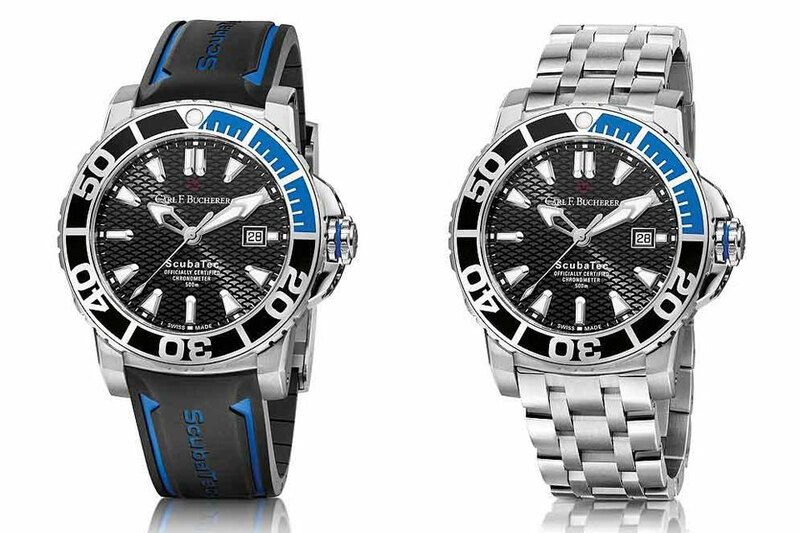 The Patravi ScubaTec Black Manta is a special edition. Price will be CHF 6,900. 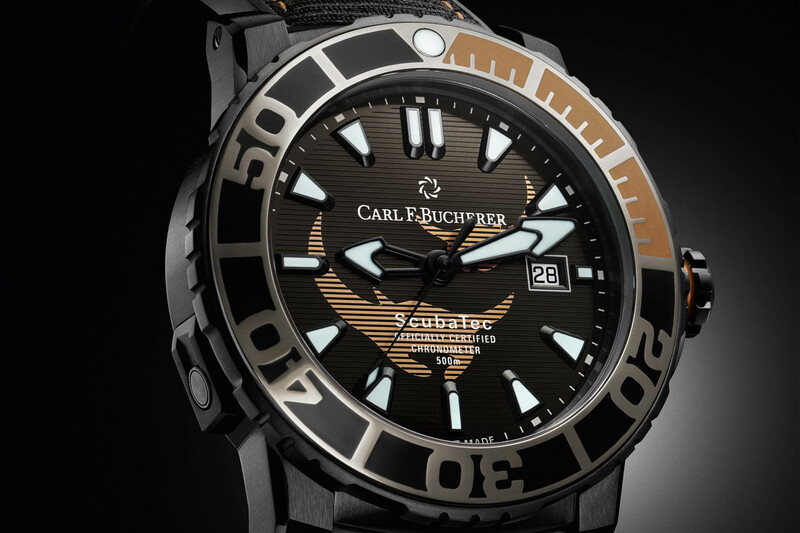 More details on www.carl-f-bucherer.com. 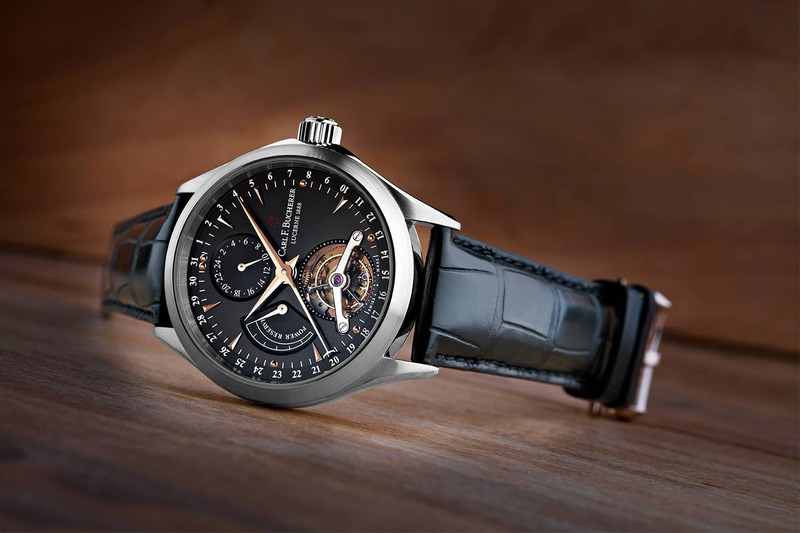 CHF 6,900 for a watch based on ETA 2824-2?! Please!